Are you looking for someone sweet and a little bit silly in your life? Someone who sees the good in people, despite some unpleasant life experiences? Meet Dumbledore! This energetic and hilarious little guy is looking for the perfect home. He gets along wonderfully with all the people he's met, and other cats. He hasn't met any dogs yet, but we suspect that he'd do just fine with them too. Dumbledore loves to climb up the cat tree, chase the ball in the track, and wrestle with his siblings. He's a happy go lucky kind of guy, who'd be happy to go home with you! 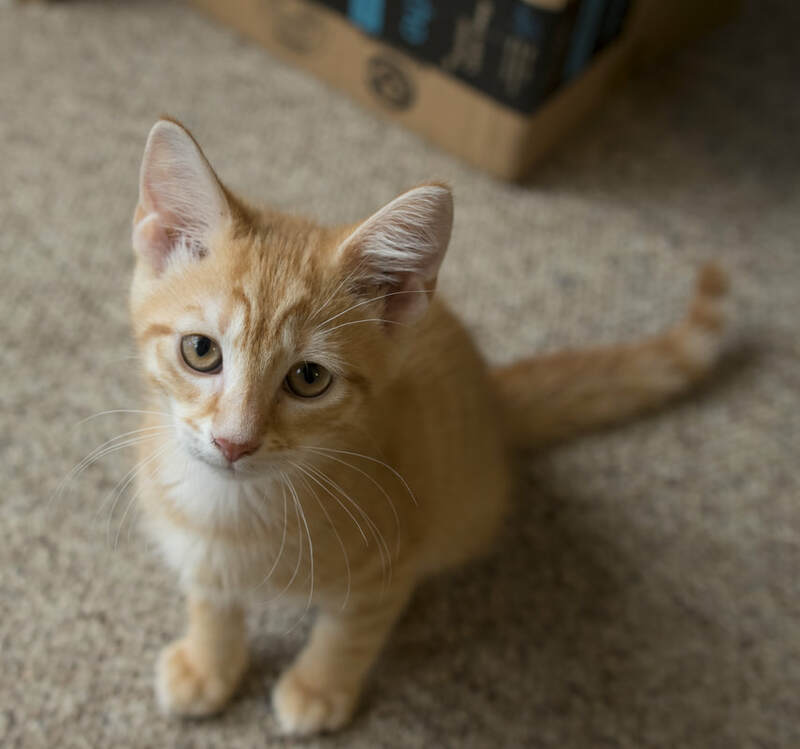 Make some magic happen, and adopt Dumbledore!